The state tests of the "Vilkha" missile system were carried out today in the Odesa region. According to NSDC Secretary Oleksandr Turchynov, the current tests are "the final stage of a large-scale project of Ukrainian scientists, designers and manufacturers". 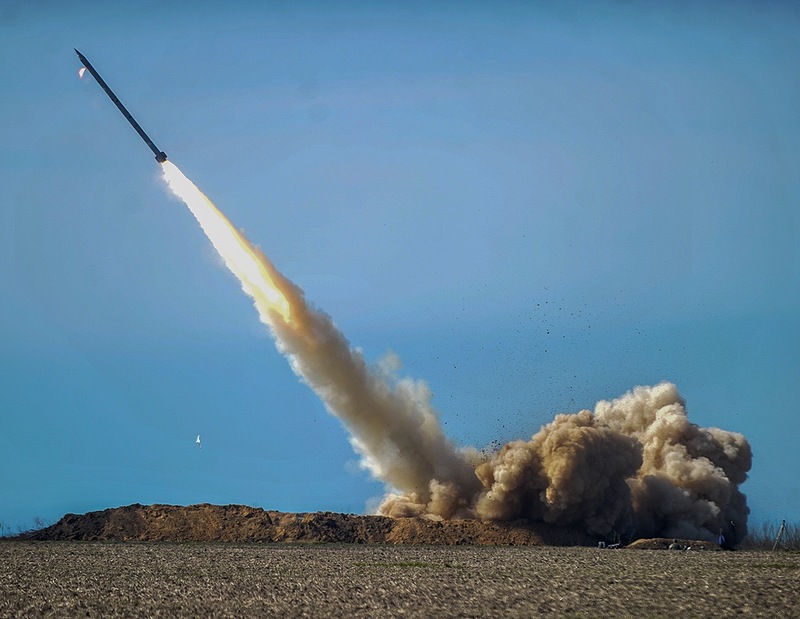 The Secretary of the National Security and Defense Council of Ukraine informed that the state tests would go through several stages, during which the customer will check all the tactical and technical characteristics of missiles for compliance with the parameters set. He explained that the missiles would be launched in full combat equipment at predefined targets. "Taking into account the missiles' handling, a separate target will be set for each of them", - the NSDC Secretary added. Oleksandr Turchynov stressed that after the completion of these large-scale state tests, the "Vilkha" missile system would be taken on armament, and the Ukrainian defense-industrial complex will launch their mass production.